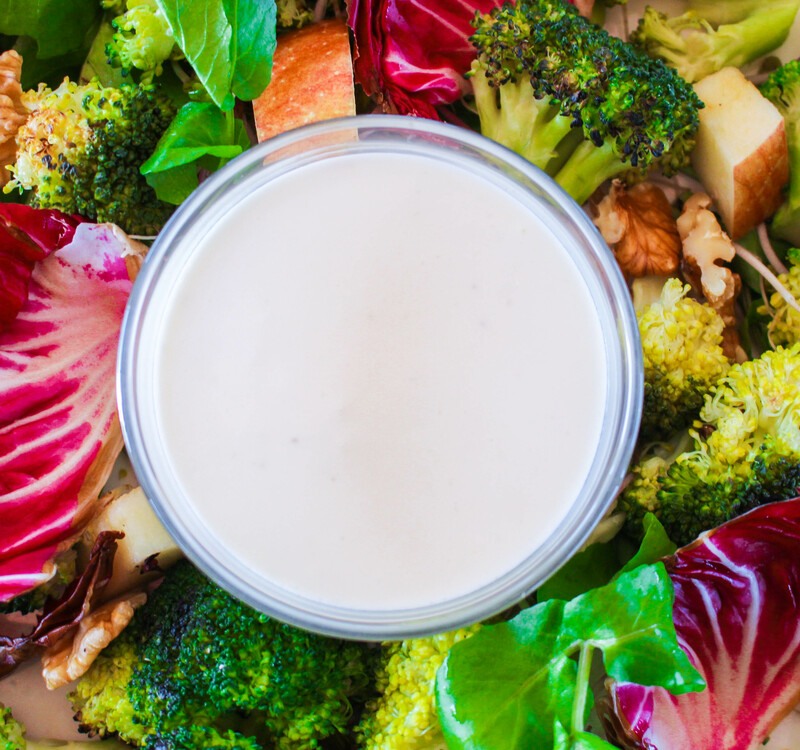 This simple, probiotic salad dressing is easy to put together. I served it with charred broccoli, radicchio, apple and walnut as shown in the photo above but it would be really delicious as a dip served with some crudité or potato chips. Place all ingredients in a jug then using a hand blender, blitz until smooth.